All three Republican candidates running in the special election on June 21 for the open House District 113 seat focused on taxes and the state’s finances in a forum held by the Oconee County Republican Party earlier this month. Bell said she believes any government budget as large as that of the state of Georgia “is going to have waste and fraud in it.” She said she will work to cut taxes and force the state to operate with less. Ed Perkins, campaign chairman for candidate Chuck Williams, said Williams “is a tough financial conservative” who will use those values in addressing the state’s budget problems. Williams was not able to attend the meeting because of illness. Alan Alexander, the final candidate to speak at the meeting on May 19, said the state doesn’t have enough money at present, revenue is decreasing and expenses are increasing. That “is the very reason that the Republic philosophy, which I agree with very much, should be put in place,” Alexander said. About 30 people attended the forum, held at the Watkinsville Community Center. The meeting was open to the public, but only the three Republican candidates were invited to participate. Alexander, Bell and Williams have asked to be labeled as Republicans in the June 21 special election, called to fill the vacancy in the 113th District seat because of the resignation of Republican Hank Huckaby. Dan Matthews has filed and asked to be labeled as a Democrat. Matthews was chair of the Oconee County Democratic Party at the time he qualified. All four candidates have agreed to participate in a candidate forum to be held from 7 to 9 p.m. on June 8 in the auditorium at the library on Hog Mountain Road in Watkinsville. That forum is being organized by Russ Page and me. Citizens will get the chance to ask questions directly of the candidates, with Page and me recognizing the questioner and then making sure each candidate is given the same amount of time to respond to the questions. All of Oconee County is in the 113th House District. Parts of Clarke, Morgan and Oglethorpe counties also are in the 113th District. The forum on June 8 will be open to all citizens of the district. The Oconee County Chamber of Commerce also is holding a candidate forum from 7 to 8:15 p.m. on June 16 at the North Oconee County High School on Hog Mountain Road. WGAU’s Tim Bryant will moderate, with citizens given the opportunity to provide questions to Bryant for the candidates. Alexander, Bell, Matthews and Williams have been invited to participate in that forum. Williams is a member of the Board of Directors of the Chamber. At the May 19 forum organized by the Oconee County Republican Party, the candidates were speaking to a largely Republican audience, and only Alexander among them suggested that it is important that at least one of them rather than Matthews be elected. If no candidate gets a majority of votes in the June 21 election, the two top candidates will go into a runoff on July 19. Huckaby defeated Democrat Suzy Compere in the 2010 race. Compere, from Bostwick in Morgan County, did almost no campaigning and to date has filed only one of the four required campaign finance reports. In that report, she said she neither raised nor spent any money. Despite the lack of campaigning, Compere garnered 27.5 percent of the vote to Huckaby’s 72.5 percent. If Matthews does only as well as Compere, and the three Republicans split the remaining 72.5 percent of the vote exactly evenly, Matthews would be the top candidate going into the runoff. Of course, it is unlikely the three Republicans will split the vote evenly, but it seems possible a Democratic candidate from Oconee County who does campaign will do better than a candidate from Morgan County who didn’t. In the Nov. 2, 2010, vote, Compere got only 20.0 percent of the Oconee County vote, but 47.9 percent of the Clarke County vote, 23.8 percent of the Morgan County vote, and 27.7 percent of the Oglethorpe County vote. In that election, 20,271 votes were cast, with 23.7 percent of them coming from Clarke, 5.7 percent from Morgan, 61.5 percent from Oconee, and 9.0 percent from Oglethorpe. Alexander, Bell and Williams also are from Oconee County. The level of turnout at the special election on June 21 will be very important for the outcome, with both parties needing to rally voters to participate. At the May 19 Republican Party candidate forum, each of the three Republican candidate was given seven minutes to introduce herself or himself and five minutes to answer questions from the audience. Alexander was supposed to speak first, but he arrived late, and Republican Party Chairman Jay Hanley turned next to Bell. Bell said she will focus on three themes in her campaign: creation of a family court for Oconee and Clarke counties, “taxes and spending,” and education. In response to questions from the audience, Bell said she was in favor of charter schools and having the local school superintendent elected rather than appointed by the elected Board of Education. When one member of the audience asked Bell to identify where she would turn to cut taxes, she said she could not be specific at this time. She said she is opposed to the proposed transportation Special Purpose Local Option Sales tax and will vote against it. Perkins, representing Williams, spoke only for four minutes and said he didn’t think it was fair to Williams for him to take questions. Williams has deep roots in the community, Perkins said. “His family is from the area. He was on the city council in Watkinsville when he was still a student at the University of Georgia." Williams “recognizes the importance of education, criminal justice, transportation, the environment and open spaces in our unique community,” Perkins said. Alexander apologized for being late and said he had been dealing with an issue at his church. He used only a few of his seven minutes for introductory comments, focusing on what he said were his qualifications. He said his legal experience representing four sheriffs and two police departments would serve him well as a legislator. Alexander was asked his position on the interbasin transfer of water. He said he needed to learn more before he could answer that question. An audience member also asked Alexander his position on tax cuts. Alexander said he favors electing the local superintendent of schools rather than having the superintendent appointed. He said he didn’t know what his position would be on the proposed sales tax to fund transportation projects. Alexander said he wants to consider replacing the state income tax with a sales tax. He said he wants to preserve the Hope Scholarship program and wants the university of Georgia to focus on basics. He criticized faculty travel for research and conferences as an unneeded expense. A full video of the comments of the three candidates is on the Oconee County Observations Vimeo site. As the Oconee County Board of Commissioners begins its open deliberations tomorrow night on the 2012 fiscal year budget, one of the items before it is the proposed $7.1 million budget of the Utility Department and another round of water and sewer rate increases. The Utility Department budget is up 11.3 percent from a year earlier, reflecting increased costs of operation of the county’s utility system as well as upgrades to the sewerage treatment plant and lines and maintenance projects for the water system. The budget also reflects increased costs for debt service for the system. To cover the increased costs, Utility Department Director Chris Thomas has asked the Oconee County Board of Commissioners to increase both water and sewage rates starting on July 1. The water and sewer rate increases must be approved by the BOC or it must find some way to cut costs. The challenge of the Utility Department budget represents in microcosm the challenge facing the Board generally. 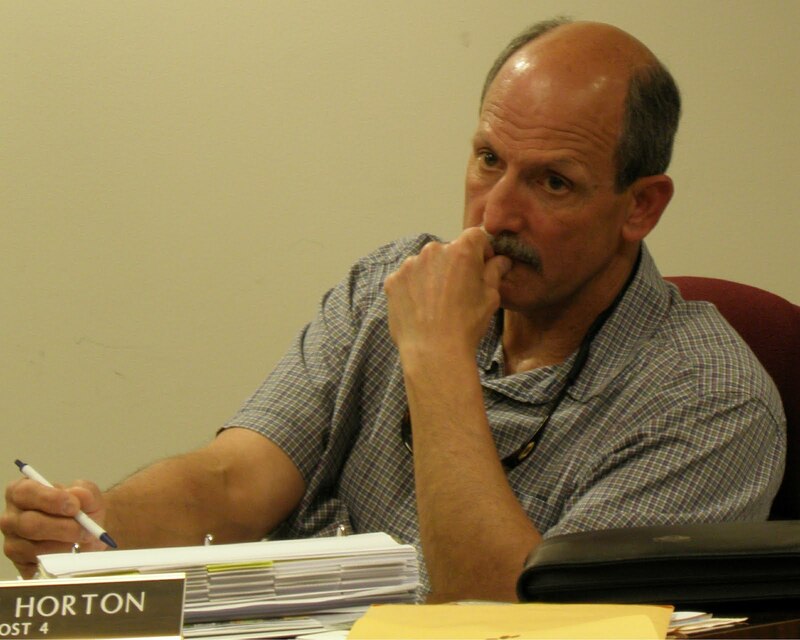 Last month the commissioners reviewed budget requests from the constitutional officers of the county and the department heads and were given a rough revenue estimate by county Finance Director Jeff Benko. Benko told the five commissioners that revenue could be as much as $2 million less than the $21 million being asked for by the officers and department heads. The Utility Department, labeled an enterprise fund, is not part of that $21 million figure. The commissioners will have to find some way either to increase revenue through tax and fee increases or cut requests. The commissioners are scheduled to begin the called meeting tomorrow at 7 p.m. in the courthouse. It also is scheduled to hold another budget meeting on May 23. The water rate increase requested by Thomas would vary based on amount of water used, but he has proposed that even the minimum amount paid by water customers would go up by 6.1 percent. The minimum sewer fee would increase by 8.3 percent. The water rate increase would mean that those who use the minimum of from 0 to 1,000 gallons of water per month would pay $17.50, rather than the current $16.50. A household using 2,000 gallons per month would pay $22 rather than the present $20.75, or an increase of 6.0 percent. Residential sewage rates would go from $18 for those at the base treatment level of 2,000 gallons per month to $19.50. If approved, the rate increases would be the third in as many years for Oconee County Utility Department customers. The Utility Department is expected to generate the income to support its operation. It does cover salaries and other personnel costs. Salaries are not budgeted to increase in 2012 over the current 2011 fiscal year, which ends on June 30. Overtime is projected to increase, however, and insurance and retirement contributions will rise considerably. The largest item in the budget, however, is debt service. To pay off bonds sold to finance utility projects, the department in 2012 will spend $3,190,723, or 44.0 percent of its budget. The debt service budgeted for fiscal year 2012 is an increase of 6.7 percent from the $2,992,159 it will have spent in the current fiscal year, ending on June 30. Of the debt services for next year, $890,000, or 27.9 percent, is from the Hard Labor Creek Reservoir project, a partnership of Oconee and Walton counties. If that figure were absent from the Utility department budget, the 2012 budget actually would be $6,220,500. The current Utility Department budget is $6,387,749. The County sold $19.5 million in revenue bonds for the Hard Labor Creek project to cover its costs for the initial phase of the $350 million project. Construction work on the reservoir is on hold because the two counties cannot afford to go forward with it until there is increased demand for the water it would produce. The county actually will spend less on Hard Labor Creek in the 2012 proposed budget than in 2011. This current year the county paid $924,000 against the principal but nothing in interest. 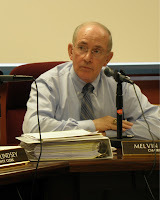 In the 2012 budget, the county will not make any payment against the principal and will pay the $890,000 in interest. The Utility Department is expecting to pay $932,000 for the water it will purchase from the Upper Oconee Basin Water Authority, in which Oconee County also is a partner. The water comes from the Bear Creek Reservoir in Jackson County. The Utility Department expects to generate $5,825,000 from selling that water to customers in Oconee County. The current budget shows $5,100,000 in water sale revenue. Thomas told me on Friday that he estimates that about 80 percent of the $725,000 in revenue growth from water sales will result from the rate increase, with the remainder coming from projected increases in water sales as citizens become more comfortable post-drought in using water. The 2012 budget shows $950,000 in revenue from sewerage treatment sale, up from $800,000 this current year. Thomas said 90 percent of that $150,000 will come from the proposed rate increase. Oconee County sends some sewage to Athens/Clarke County for treatment, and it will pay $33,000 for that service in the new budget, up from $26,009 in the current budget. Most of that difference results from a rate increase, Thomas said. Thomas is seeking $100,000 to do maintenance work on two of the county’s three water storage tanks, up from the $50,000 budgeted this year. The $50,000 in the current budget is unspent at present. Thomas said the tank in Watkinsville as well as the two on Mars Hill Road all need painting and other maintenance work. Thomas also is asking for $200,000 in funds for unspecified replacement equipment and sewer line improvements. He also is asking for $21,000 to replace 10 computers in the department. The BOC last year didn’t allow Thomas to increase the water rate for those using minimum amounts, and Commissioner Chuck Horton last month showed little enthusiasm for such an increase this year. The BOC will be doing lots of such tinkering with revenue projections and proposed expenditures prior to final adoption of a budget, now scheduled for June 7. NOTE: In an earlier version of this posting, I said the Utility Department did not pay for its space or utility costs. Utility Department Director Chris Thomas told me on 5/17/2011 that, while there is no separate line item in the budget that shows these payments to the county, the department pays the county rent for its space and for its utilities. The Oconee County Citizen Advisory Committee on Land Use and Transportation Planning spent much of two meetings last year and this discussing how the Board of Commissioners should respond to a proposed regional plan for bicycling and walking, but the Board isn’t planning to take any action. County Administrative Officer Alan Theriault confirmed in an email message to me on Friday that the commissioners to this point have expressed no interest in responding to the recommendation of the citizen advisory committee that the BOC pass a resolution to “acknowledge” the plan. The Plan for Bicycling and Walking is designed as a guide for local governments in developing infrastructure and creating policy to increase the safety and prevalence of walking and bicycling in Northeast Georgia. The citizen committee voted at its Feb. 8 meeting, after considerble discussion, that the BOC acknowledge the plan, rather than recognize, adopt or endorse it. The Oconee citizen committee had been asked to recommend to the BOC how it should respond to the plan, created by another citizen committee and planners at the Northeast Georgia Regional Commission. What happened after that Feb. 8 vote has been something of a mystery. “Everything we do goes to them (BOC members) in the way of minutes,” Abe Abouhamdan, chairman of the citizen committee, told me on Friday. Wayne Provost, director of strategic and long-range planning for the county and liaison with the committee, wasn’t so certain what had happened to those minutes when I had spoken with him on May 6. “I assume the Board gets those minutes, but I’m not sure,” he said. Angela Helwig, administrative assistant for the county who handles the minutes, told me after I spoke with Provost that she also wasn’t sure the minutes had been sent to the full Commission, though she said she had sent them to BOC Chairman Melvin Davis. Theriault did write that he had “advised the BOC” that I had asked him on May 3 about the lack of BOC response to Land Use and Transportation Planning Committee recommendation. “The BOC has not expressed a desire to add this as an agenda item,” he wrote on Friday. The Plan for Bicycling and Walking has four goals and objectives. The first goal and objective is to develop “facilities and policies” to encourage walking and bicycling in Northeast Georgia. The second is to generate “confidence and security” for people walking and bicycling through the region. The third goal and objective is to support bicycling and walking trips between neighborhoods and regionally important destinations. The fourth is to foster “active lifestyles,” promote “community-based commerce” and reduce the environmental impact of motorized transportation. The plan was created by NEGRC under a contract with the Georgia Department of Transportation that began in July of 2009. A 32-member Regional Bicycle and Pedestrian Task Force worked on the plan. It included Brian Brodrick, a member of the Watkinsville city council, Lisa Davol, deputy director of programs with the Oconee County Parks and Recreation Department, Tony Glenn, a biking activist and advocate in Oconee County, Wayne Provost, the long-range planner in the county, Sandy Thursby with the Public Works Department in the county, and Hannah Walters, another Oconee County citizen. The Land Use and Transportation Planning Committee first discussed the plan at its Nov. 9 meeting following a presentation regarding the plan by Nina Kelly, a planner with NEGRC. The presentation and discussion lasted for 75 minutes before the Committee decided to delay action until after the first of the year. Kelly from NEGRC told me when I talked with her on May 5 that only five of the 12 counties in the NEGRC district have taken action on the plan. They are Walton, Morgan, Jackson, Oglethorpe and Elbert. Kelly confirmed on Friday that she had not received any response subsequently from Newton, Jasper, Greene, Athens/Clarke, Barrow or Madison. The contract with GDOT expires on June 30, Kelly told me on May 5, and it will not be possible for her or other staff members to meet with BOC members regarding the bike and walking plan after that date. Kelly said a county can pass a resolution regarding the plan at any point, and it can participate in discussions about the plan regardless of whether it takes action. “After doing the plan, we set out with the goal to have it formally passed in some shape or form,” she said. Kelly had referenced the June 30 date in her presentation to the Oconee County citizen advisory committee. Abouhamdan, chair of the Oconee County Citizen Advisory Committee on Land Use and Transportation Planning, told me on Friday he could not remember if Provost or BOC Chairman Davis had asked that his Committee review the NEGRC plan. I received the Davis email as a result of an open records request of Nov. 4, 2010. “I suggest the Board give strong consideration to supporting the “Recognition” resolution,” Davis wrote. Davis said he expected the resolution be on the Oct. 26, 2010, agenda of the BOC. The Committee spent its Feb. 8 meeting discussing the proper wording that it wanted the BOC to use in responding to the bike and walking plan. By not taking up the resolution then or after the citizen committee opted for the “acknowledge” resolution, the BOC has avoided any additional public discussion of the biking and walking plan in the county. At the Nov. 9, 2010, meeting the Land Use and Transportation Planning Committee also discussed another issue involving biking that had generated a lot of interest. The Oconee County Cycling Organization had asked the county to post Share the Road signs on four county roadways, and that request also was sent to the citizen advisory committee for review. All 11 members of the Committee at the Nov. 9 meeting agreed to recommend to the BOC that the signs be installed on the roadways if OCCO paid for them. The Committee has 14 members. That matter also never came back to the BOC. Rather Administrative Officer Theriault sent an email message to the five commissioners on Feb. 4 of this year asking them to “let me know your thoughts on how you wish to proceed” on the road signage. Board members told Theriault to go forward with the signs without bringing the matter back to the Commission for discussion. Oconee County administrative departments are spending about $35,500 annually hosting and operating the county’s web sites, according to an inventory of costs County Commissioner Margaret Hale presented last month to the Citizen Advisory Committee on the Oconee County Web site. The county’s departments are spending $10,168 for hosting costs for their sites and $25,280 in personnel costs, according to the report. Hale did not attend the meeting, which was held April 19 in the Glass Room of the Oconee County Library. Prior to the meeting, Hale had given me a copy of the report, which I shared at the meeting with Committee members Sarah Bell, Dan Matthews and Kate McDaniel. The Committee, formed in late 2010, is self-appointed and has taken upon itself the task of examining the operation of the county web sites. The goal is to offer suggestions to the County on policy and development of the sites. I formed the Committee, with the recommendations of the leadership of the local Democratic and Republican parties and by including volunteers who stepped forward. Commissioner Hale joined the committee to provide liaison with the Board of Commissioners. The county is spending $16,250 for the staff member who updates the main county web site, $5,000 for staff time in the Economic Development Office and the Tourism Department, $2,140 for staff time in the Parks and Recreation Department, and lesser amounts for staff time in Public Works, the Senior Center and the Property Appraisal Department. The County is spending $7,500 for the Qpublic database of the Property Appraisal Department. The Information Technology Department is spending only $240 annually in hosting charges for the county’s main web sites, but Parks and Recreation is spending $948 and Economic Development and Tourism together are spending $1,000. 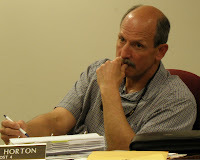 Alan Theriault, administrative officer for the county, compiled the lists of expenses at the request of Commissioner Hale. Whitney Byce, who has responsibility for the web site of the Parks and Recreation Department, attended the meeting on April 19. She said Parks and Recreation created its own web site in 2004, linked to the main county web site, because it needed to be able to update things more quickly than was otherwise possible and because it needed to be able to process financial transactions for user fees. “We were not able to instantly update it,” Byce said. It can take a couple of days to get information updated on the county site, she said. Byce said the department had upgraded the site about a year ago after looking at what other similar departments around the country were doing. She said the goal was to make the site attractive and user friendly. She said the department also is using Facebook and Twitter to communicate. “We are really trying to expand all of the ways of promoting the department to help the growth of the department,” she said. 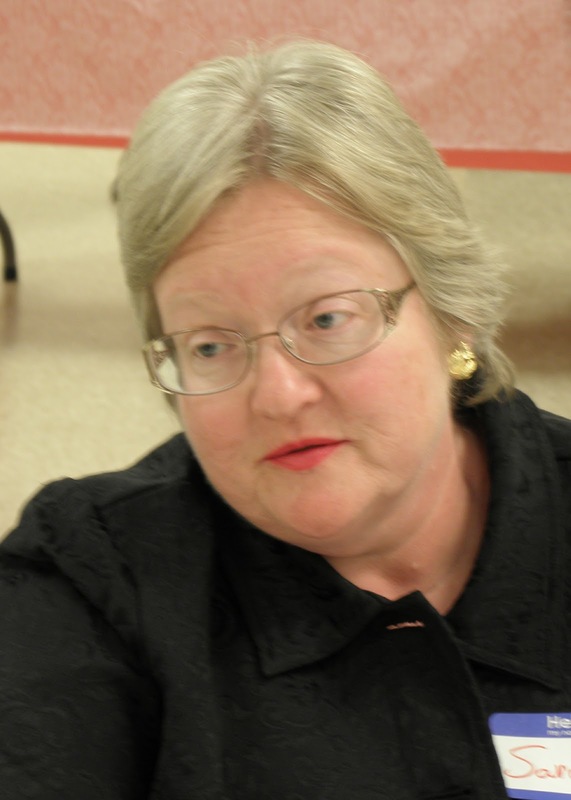 Committee member Sarah Bell had interviewed Oconee County Tax Commissioner Harriette Browning and reported that Browning is spending $3,540 for web services not part of the county’s operation. 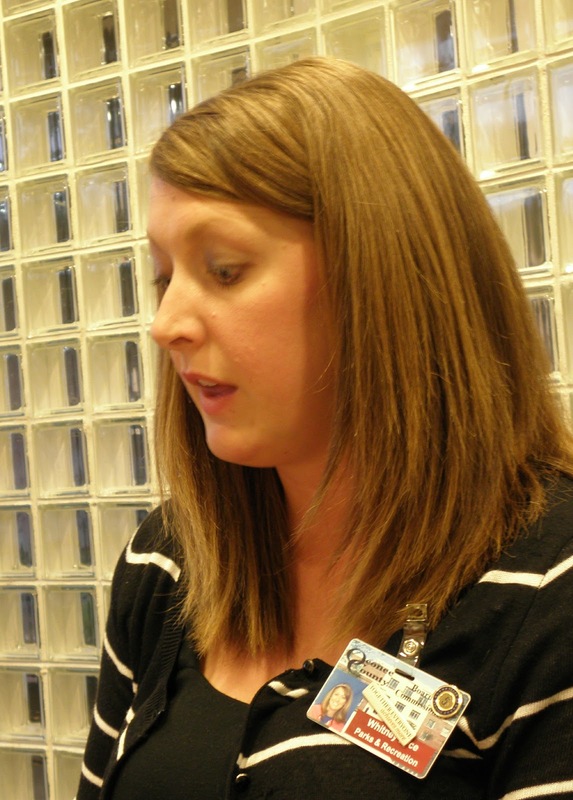 Bell also reported that Clerk of Courts Angela Watson currently does not have a web site. Hale reported that Sheriff Scott Berry told her that he pays only “a minimal fee” for hosting his site and does not spend any money to update it. The sheriff is aggressive in promoting his web and social media activities. In an advertisement taking up about half of a page in The Oconee Enterprise on March 31, Berry said “Oconee County has a Sheriff who listens” and invited readers to see what “Scott Berry has to say” on Facebook, on Twitter and on his web site. The Committee has not yet contacted the office of Probate Court Judge David Anglin, the fourth constitutional officer of the county. Also yet to be studied are the web activities of the Oconee County Board of Education. I told the Committee that I had been contacted by two University of Georgia faculty members who live in Oconee County and who volunteered to help the Committee after reading about the Committee’s earlier meetings. Jeffrey Howells and Craig Piercy of the Terry College of Business told me when I met with them in February that they have worked with other governments trying to understand their needs and the opportunities provided by the Internet and could provide similar services to the committee and Oconee County. The Committee plans to hold its next meeting on May 17 at a location to be announced. Secretary of State Brian Kemp today set May 16 to 18 as the qualifying dates for the special election for Georgia State House District 113, which includes all of Oconee County. No primary will be held. Candidates who file and qualify can simply designate a party label to follow their name. Candidates also can decide to label themselves as Independent or run without any label. Qualifying will begin at 9 a.m. on May 16 and run through noon on May 18. Candidates must live in the district, which, in addition to Oconee County, contains parts of Clarke, Morgan an Oglethorpe counties, and pay the $400 filing fee. The election will be held on June 21, with a runoff on July 19 if no candidate gets more than 50 percent of the vote in the June 21 election. The General Assembly is expected to go back into session on Aug. 15, with the primary task of redistricting the state based on the 2010 Census. The composition of the 113th will be up for consideration, and Oconee County could lose its status as the dominant county of the district. Oconee County has not been split into more than one House district since the election of 2002. At present, the district consists of 25 precincts, with 13 of them coming from Oconee County. Based on the 2000 Census, 58.0 percent of the population of District 113 resides in Oconee County, with 23.6 percent in Clarke, 12.1 percent in Oglethorpe and 6.4 percent in Morgan. One insider familiar with the districting process told me over the weekend in an informal conversation there is likely to be considerable pressure in August to create a more Republican district for Doug McKillip, who was elected to the 115th District in November of last year as a Democrat and then switched to the Republic Party. The 115th, one of two districts entirely in Clarke County, abuts Oconee County, and the insider told me Oconee could easily be carved up to give McKillip more Republican voters. Hank Huckaby, elected to the 113th as a Republican last November, resigned because he is line to become the chancellor of the University System of Georgia. Huckaby, who lives in Oconee County, told me in an email exchange over the weekend he resigned on Friday to make it possible for the county to hold the election on June 21. Gov. Nathan Deal on Friday called the special election. Also on Friday, Chuck Williams, former president of North Georgia Bank, told The Oconee Enterprise that he will run for the 113th seat in the special election. 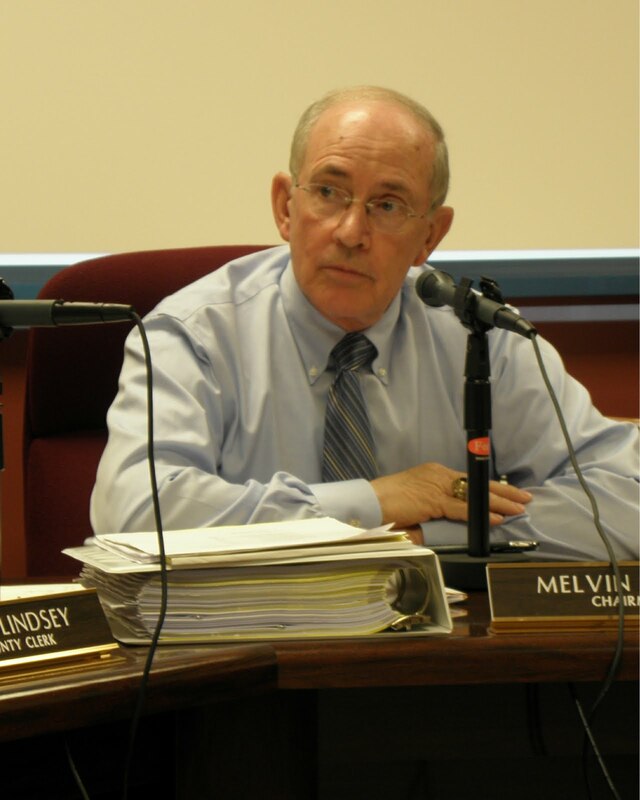 And the following day Oconee County Board of Commissioners Chairman Melvin Davis, who had been considering running, told the Enterprise he had decided not to run. The paper updated the story accordingly. Blake Giles, editor of the Enterprise and author of the story about these announcements on the paper’s web site, is active in the Oconee County Republic Party. And Jay Hanley, Oconee County Republican Party Chairman, also works for the paper. Williams and Davis have been close politically and are serving together on the Oconee County Industrial Development Authority. Williams’ announcement and Davis’ response means the county will not have to hold another special election to replace Davis this summer. Davis would have had to resign as BOC chairman to run for the House seat. Williams will run with two liabilities. The Georgia Department of Banking and Finance in early February closed North Georgia Bank and turned it over to the Federal Deposit Insurance Corporation as receiver. Williams was founder of the bank and president during its 11-year history. In addition, Williams and his brother sold property in Watkinsville at above-appraised value to the Oconee County Board of Education for future use for an administrative facility. That decision has proven to be controversial in the county. 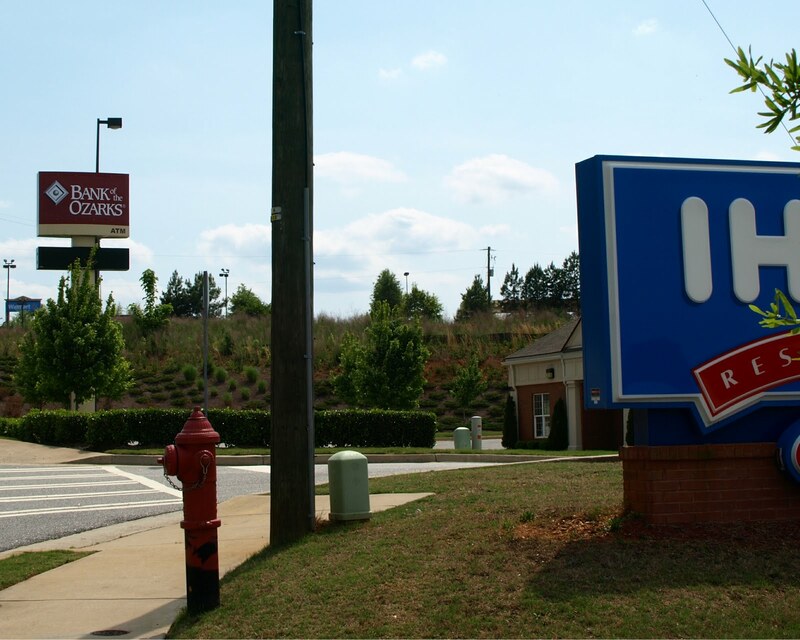 In a move that has generated little media attention locally, the FDIC on Friday closed another bank with a branch office in Oconee County. Another Voice from Oconee County reported the development over the weekend. The Georgia Department of Banking and Finance closed the Park Avenue Bank, Valdosta, and appointed the FDIC as receiver. Bank of the Ozarks, Little Rock, acquired the banking operations, including all the deposits, of the Valdosta bank plus a second Georgia bank, First Choice Community Bank, Dallas. The Oconee County branch of Park Avenue Bank was on Epps Bridge Parkway, near IHOP. Over the weekend, its name was wrapped in the new signage for Bank of the Ozarks, bringing back memories of the quick disappearance of North Georgia Bank. 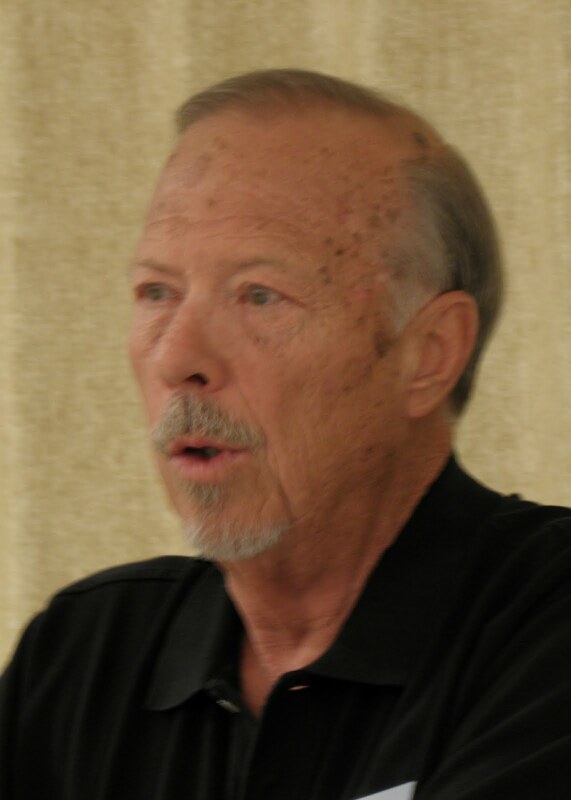 Huckaby also told me on Saturday that he intends to resign from the Hard Labor Creek Reservoir Management Board, on which he is serving as the Oconee County citizen representative. That Board is overseeing the construction of the reservoir in Walton County on behalf of the two partnering counties.